PDO Espelette Pepper: « EZPELETAKO BIPERRA ». Espelette pepper is a cornerstone of Basque cuisine, where it has gradually replaced black pepper. The village of Espelette counts 1,664 inhabitants and is famous for its AOP’s pepper, a certification granted to quality products not to be imitated. This condiment has been well-known for ages given its demanding cultivation and its original drying method. Indeed, producers pin it on their house wall, at the end of the summer to dry it with the sunlight. It is used daily in the traditional local cuisine. 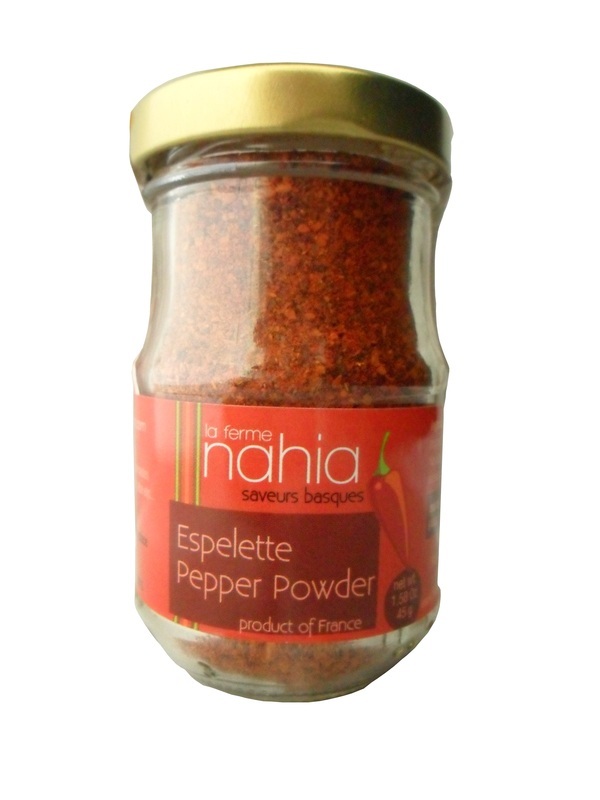 PDO Espelette pepper flakes 100%. Used as a black pepper, it seasons and personalizes your meals, thanks to its prestigious taste: spicy and intense without being overpowering.